Each event needs to be properly marketed and advertised if your business wants to gain considerable income from organising or hosting the event. Our indoor and outdoor LED signs and displays offer a comprehensive, flexible, efficient and professional advertising medium which can influence the outcome of the whole event in an impressive way, by broadcasting it in real time. LED screens that we offer come in various sizes. 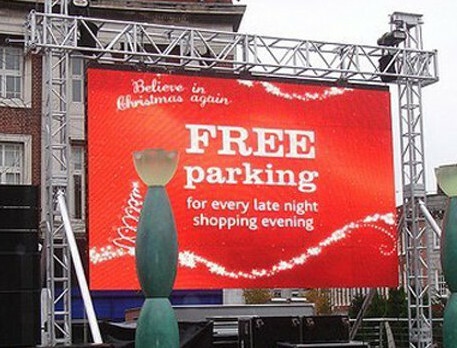 They are perfect for sport facilities, council and government institutions and facilities, supermarkets, schools, financial institutions, retail shops, or any other area of advertising space where LED signs can neatly fit and provide a large display area for good quality transmission and real time entertainment.